I was searching for a Wireless Bluetooth Portable Speaker for my iPad and came upon what I consider a gem, the Satechi BT Wireless Bluetooth Portable Speaker. Sure, they are not perfect, there are a few things they could have done better, but the amazing sound you get (plus other features) from this Bluetooth speaker you can literally hold in the palm of your hand, is amazing. First, the good features I found on the Satechi Bluetooth speaker. Surprisingly good volume, sound quality and bass for its tiny size. Its sound fills an average sized room. The top screws and pops open for extra bass. Bluetooth needs only pair once. Like most Bluetooth device, the Satechi Bluetooth Speaker’s will remember devices it has previously paired with, so it is just a matter of turning on bluetooth on the source device and turning on the Satechi speaker. 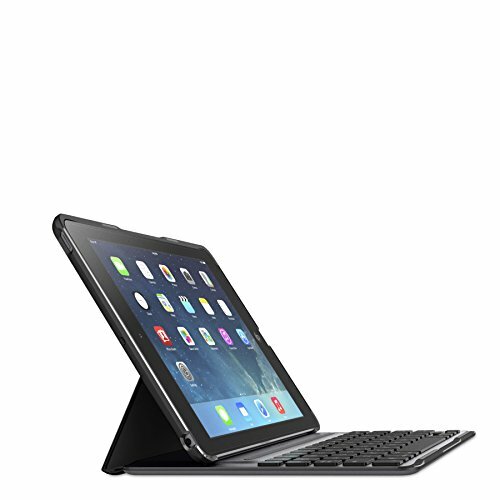 Works with any Bluetooth enabled device so it is not limited to your Apple iPad or iPad 2. It therefore includes iPhone, MacBook, Android Phones, Notebooks, other Tablets…and the list goes on. Has a built in input jack for signal input if there is no Bluetooth on a device, or if you just want a better sound from the Satechi Bluetooth Speaker (you get, as should be expected, a louder sound from the input jack connection than from Bluetooth connection). It has a mode button to switch between jack input and Bluetooth input. Has a built in microphone, so it has the ability to answer incoming calls. A long time between recharge (6 hours average), although it won’t keep pace with your iPad’s average 10 hours between charge. Only 2.6 x 2.6 x 3 inches and weighs only 3.4 ounces; fits neatly in the palm of your hand, yet it feels sturdy. There are only 3 buttons so all the functions are packed into them. The biggest peeve is that you have to hold down the “Next Track” and “Previous Track” buttons for volume up and volume down. Another volume problem which is no volume memory, meaning the Satechi Wireless BT Bluetooth speaker does not remember the last volume level, but restarts at half level at all times after switching the device on and off. After turning on the device, you have to hold down the buttons and adjust volume each time you start using it. Pairing can be a guessing game as you have to hold down the power button and there is no indicator until you hear the sound coming through. This to me is not a big deal. I have had worse problems trying to pair two cellphones. It can be difficult learning how to operate the Satechi, but now you read this article, it should be easy for you. The Satechi BT Wireless Bluetooth Portable Speaker is a good iPad accessory deal if you are looking for a wireless Bluetooth portable speaker with good sound. You can take it anywhere with you without any bulk and use it for hours on any Bluetooth device. No Bluetooth? Use the included jack and you get even better sound from the speakers. The cons have nothing to do with quality, but merely getting acquainted with Satechi’s buttons. Once you get used to the function buttons, you will fully enjoy your Satechi BT Bluetooth Speaker.